Artist-astronaut Alan Bean, the moonwalker who saw himself as different from the rest, died today at the age of 86 at Houston Medical Hospital. Bean’s death followed a sudden illness that befell him two weeks earlier during a trip to Fort Wayne, Ind., for a school fundraising event. 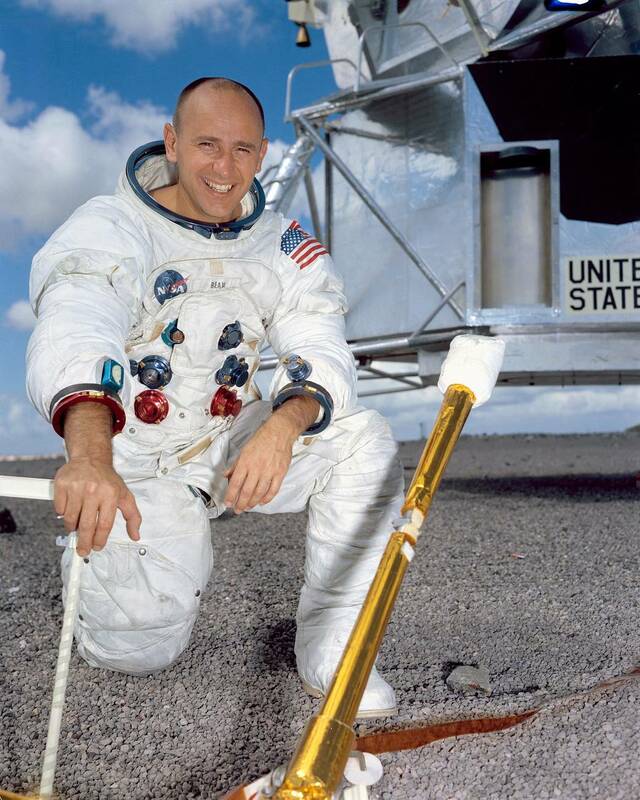 He became the fourth human to walk on the moon during the Apollo 12 mission in November 1969, exploring Oceanus Procellarum alongside the late astronaut Pete Conrad. Bean also commanded the second crewed flight to Skylab, America’s first space station, in 1973. This entry was posted in GeekWire and tagged Apollo, Art, Moon, Space, Space History. Bookmark the permalink.